This room is the main component of our Ballroom and it has all its advantages but with a size of 315 m2. In fact, the LCD projector and the automatic scrolling screen mounted on the ceiling belong to this part of the room. 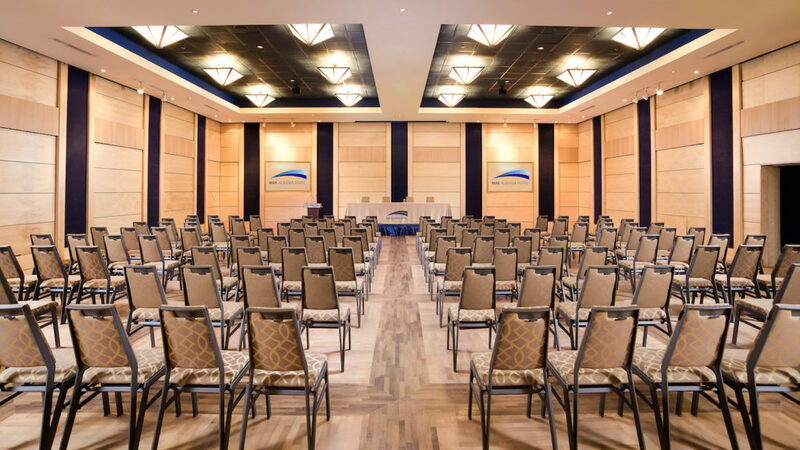 This venue can host conferences for up to 200 people in theater style, graduation ceremonies, product expositions, book presentations, cocktails, staff parties etc. Its location on the ground floor next to our outside terrace gives the possibility to organize relaxing coffee breaks during long meetings. Click on the grey areas to know more details about each room. All rooms are distributed in two different levels of the hotel, and therefore, they can be found in two different floor plans.